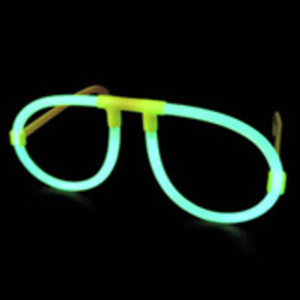 Glow Glasses are a great addition to any night out or party and look great!! They are easy to use and available in the same colour or a mixture of colours including Green Blue or Pink. 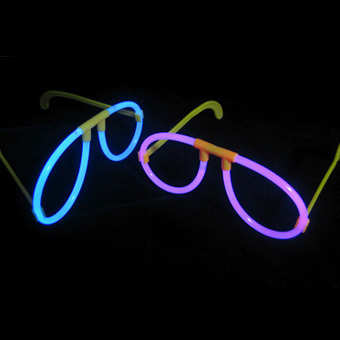 They are easy to use and are activated by gently bending the glow stick and then placing inside the frame attachments included to make a great pair of glow glasses ready to wear. These glow glasses are freshly sealed and carry a 3 year shelf life. They are DBP Free and comply with EU Standards. Each set of glow glasses comes in it’s own foil sealed pack and includes the following in each pack.